Customer Relationship Management (CRM) is a business strategy supported by customer relationship objectives, company culture, business processes, implementation methods and CRM software. The intent of CRM is to methodically and continually enhance and grow customer relationships in order to achieve increased business performance. CRM strategies and CRM software have become a powerful combination in helping organizations meet their business objectives. For most companies and organizations, CRM systems include sales force automation (SFA), marketing automation and customer support. Additional capabilities such as Partner Relationship Management (PRM), sales order processing and CRM analytics often compliment core CRM business systems. New advents such as open source CRM software as well as new delivery methods such as software as a service (SaaS), sometimes called on-demand CRM or hosted CRM software, also introduce new opportunities for CRM acquisition, implementation and utilization. Successful CRM accomplishment is far more than just a one time project activity; it is a change in company culture and a continuous journey that matures over time and advances as customer needs evolve, organizational capabilities change and the customer relationship grows. 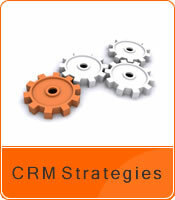 CRM is a business strategy first and foremost. 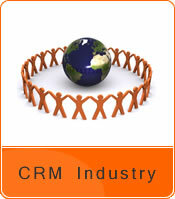 CRM software provides the framework, management, delivery and automation to achieve CRM strategies. Effective CRM software applications facilitate increased understanding, anticipation and response to customer needs in a timely, efficient and rewarding manner. Many users, practitioners, consultants and project managers have discovered successful methods, effective business processes, lessons learned and best practices which collectively reduce risk and increase the achievement of customer focused business objectives. This website is a collection and repository of shared experiences which hopes to leverage social media interaction, user generated content and community participation to evolve for the benefit of all readers. This primary purpose of CRM Forecast is to share, collaborate and grow the collective content, information, cooperation, knowledge, networking and insight among a wider community of business participants. Readers and interested participants are encouraged to share their experience, views and insight for community benefit. This software industry website is globally focused in order to expand upon the information sharing and networking beyond just the United States. The next website upgrade is currently underway and will include more statistical content by international region, a lessons learned library, greater emphasis on international business software features and identify CRM software market share leaders by industry, location and company size. 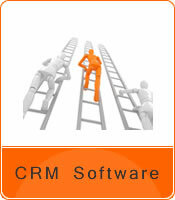 Join us in the CRM journey. Search For SolutionsThe CRM Software 360 database is the most up to date and freely available database of CRM and ERP Software Systems on the Internet.